Dr. Tom Wendel, late Chair of the American Beethoven Society. As a winner of the Artists International Li-shan Hung made her New York recital debut at Carnegie Hall’s Weill Recital Hall in 2003 to great acclaim, which led to a return in 2005. Her performance of Cesar Franck’s Prelude, Chorale, and Fugue was sited as “perhaps the finest performance of this piece I’ve ever heard” by Timothy Gilligan in the New York Concert Review. She has also received high praises from reviews by the Washington Post and Baltimore Sun. An active soloist and a chamber musician, Li-shan Hung has appeared across the United States and internationally. 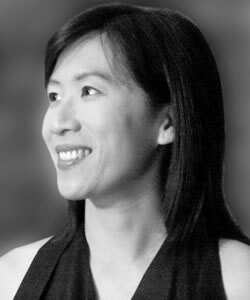 Besides Carnegie Hall, she has performed in other venues, such as Salle Gaveau in Paris, Cultural Center in Munich, Rachmaninoff Hall in Moscow, Merkin Hall in New York, Shriver Hall Concert Series in Baltimore, Orpheus Classical Music Series in Chicago, Steinway Society of the Bay Area Recital Series in San Jose, Indiana MTNA State Conference (MTNA Artist), Sejong Cultural Arts Center in Seoul, Korea, and National Concert Hall in Taipei, Taiwan. Lishan has made guest appearances with the Taipei City Symphony Orchestra, Stockton Symphony, MasterWorks Festival Orchestra, Palo Alto Philharmonic, Sheboygan Symphony, and Hunan Symphony Orchestra in China. She has collaborated with many distinguished artists including Menahem Pressler, Bin Huang, , Peter Jaffe, and Delta David Gier. Her performances have been broadcast on Television and Radio, including WBAL and WBJC in Baltimore, WFYI in Indianapolis, WPR in Wisconsin, KTSF26 in San Francisco, and FEBC in Seoul. Hung has been invited as a guest artist and presented master classes at universities and festivals in the U.S., Taiwan, and China, including Vanderbilt University, Ball State University, University of North Florida, Steinway Society of the Bay Area Midsummer Festival, Chinese University of Hong Kong, National Taiwan Normal University, and Xinghai Conservatory in China. During the summer she teaches at the MasterWorks Festival and the Cremona International Music Academy in Italy. A native Taiwanese, Hung obtained her Doctor of Musical Arts and Master of Music degrees from Peabody Conservatory of the Johns Hopkins University, where she studied with the renowned pianist Ann Schein and coached chamber music with Earl Carlyss. In addition, she worked with Jorg Demus, Grant Johannessen, and the Alban Berg String Quartet, and performed in master classes with Abbey Simon, Paul Badura-skoda, Sergei Dorensky, and Evgeny Malinin. Dr. Hung now serves as Professor of Piano and the Keyboard Area Coordinator at Biola University in La Mirada, California.